People with MS can benefit from the many new apps now available for download. 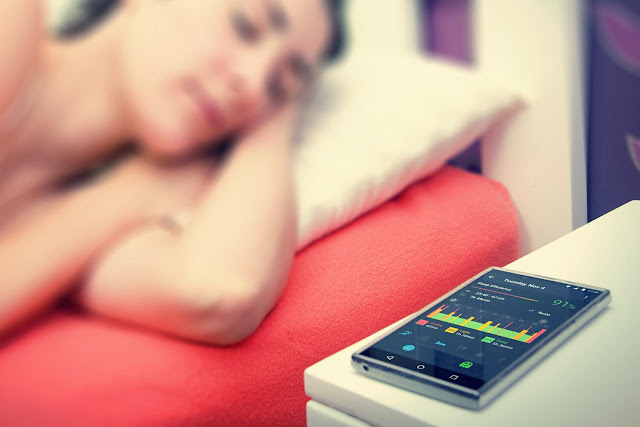 Of particular value are the different kinds of apps that can help to track and manage nighttime sleep, daytime naps, and fatigue. Keeping track of your sleep can be useful in a number of ways. It can raise your own awareness of just how much sleep you actually get, which could be useful if you suspect you might have a sleep disorder in addition to your MS (and the odds are pretty good you might). Tracking your sleep can also be a great way to collect data about your sleep health while tracking your other symptoms so that you and your MS specialist can go over any symptom clusters or trends that might be revealed through your sleep patterns. You can also benefit from tracking the frequency and lengths of your naps, as well as keep notes on fatigue which can be compared against the sleep you had the night before, as a way to seek answers to any problems with exhaustion. Symple: This workhorse of an app can be used for people with any kind of chronic health condition. It can import steps, sleep and heart rate data via Apple’s Health App directly into its Factors, which you can customize and track. It also offers functionality with regard to symptom tracking, medication schedules, and diet plans. Overviews can be shared with your doctor and data can be downloaded to a spreadsheet app. Requires iOS 9.0 or later. Compatible with iPhone, iPad, and iPod touch. Not ready for Android yet, but it looks like they are working on it. MSAA: My MS Manager: This is a thoughtful and fairly comprehensive app for doing exactly as it describes: manage MS. This one was created by the Multiple Sclerosis Association of America (MSAA) in partnership with @Point of Care for individuals with multiple sclerosis (MS) and/or their care partner. My MS Manager doesn’t have a sleep tracking section, per se, but it does have a section for recording fatigue, as well as a daily journal where you can stash reports about insomnia or pain issues at night as well as naps and excessive sleepiness during the day. Requires iOS 7.1 or later. Compatible with iPhone, iPad, and iPod touch; now available in Android. SymTrac: This app was designed by people with MS for people with MS in order to maximize vital consultation time between patient and specialist through several tracking features. The sleep feature is a ratings scale you adjust every morning to indicate how well you slept, which may be all you need to track between your appointments with the neurologist. Requires iOS 6.0 or later. Compatible with iPhone, iPad, and iPod touch. Also available in Android. Includes a printable paper-based symptom tracker which can be downloaded from www.symtrac.com for those who may not have an iPhone. MS Self: This is another hard-working, MS-dedicated app with many relevant features, such as medication tracking, heat index alerts, and lots of educational resources which include a voice-enabled feature. It can be integrated with your existing Fitbit to help track and analyze your sleep data. Requires iOS 8.0 or later. Compatible with iPhone, iPad, and iPod touch. Also available in Android. Apple Night Shift: Part of the problem all of us have, regardless of our chronic condition, is that we tend to look at smartphones too late into the evening. Our handheld devices emit blue spectrum light. When we expose our eyes to this light, it causes the brain to halt the release of melatonin, a natural hormone which our bodies and brains need in order to fall asleep. Apple has finally done for iPads and iPhones what F.lux created years ago for laptop screens: a built-in amber filter that serves as a blue-light “blocker.” You’ll notice your screen takes on a gradual soft apricot glow as the day grows longer and night falls: this is the app at work, sparing your eyes from exposure to sleep-stealing blue light. To use on iPhones, open Control Center, tap on the Night Shift icon Night Shift icon to activate or deactivate it. Or, go to Settings, select Display & Brightness and adjust the schedule and color temperature there.